The B4 2/3" to Canon EF Adapter from MTF Services Ltd enables the use of ENG style B4 2/3" lenses on cameras with the Canon EF mount. The adapter features multi layer coated optics, solid aluminum construction and a chrome plated EF mount. A lens support bridge for use with industry standard 15mm rod support systems is also included. Note: In order to avoid vignetting, the B4 2/3" lens will need to have the 2x extender engaged and the camera's image sensor should be Super 35mm or smaller. HD lenses are recommended. Engaging the 2x extender also allows the adapter to optically correct for using your lens on a single sensor. Box Dimensions (LxWxH) 7.4 x 4.4 x 3.0"
B4 2/3" to Canon EF Adapter is rated 4.0 out of 5 by 1. Rated 4 out of 5 by Hironori from ??????? EOS C300??????????????????×2??????????????????? ???????f?2stop????? ???????????2/3??????????????????????????????35???????????????????????????????????????????????????? ???HJ14?4K???CJ???????????????????? ????????????????f?????????????????????EF???????????????????????????????????????? ??????4K?????????????????????????????????????????????????????????? 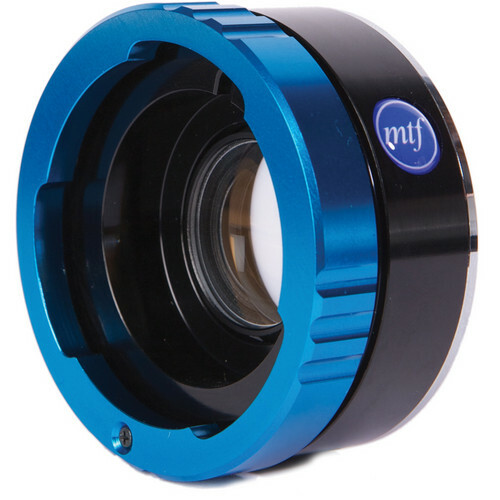 The MTF Services Ltd B4 2/3 to Canon EF Adapter will optically correct for the different spectral alignments between three chip prism block sensors and single sensors as long as the 2X extender is engaged. What is the multiplication factor of the adapter by itself? I've heard that it's 1.35X, can anyone confirm this? Cheaper to buy the Kenko 1.4x Pro Teleconverter which will do the same job! i can't gather from your questions and answers so far: do i need to buy an additional 2x (ef-ef) teleconverter in order to use old SD b4 lenses without too much vignetting? i am confused because the product shown on the pictures already has an adapter with a lense which i assumed was the converter? tldr: my lens doesn't have a 2x extending-mode. and i want to shoot on a fullframe camera like 5d mII. what else do i need? I am sorry, but the lens most have a 2x extender already built in to it along with being for 2/3&quot;. Also the sensor on the camera being used cannot be larger than Super 35mm or APS-C. In the video you state that you can use the adaptor in 1x and 2x range however on B&amp;H you state that you must have the 2x engaged to avoid vignetting - which is correct or have I misunderstood something? Craig, I have this adapter (no longer use it though) and although you have the ability to toggle between 1x and 2x, 1x has serious vignetting and therefor you must only shoot in 2x. I have an HJ9x5.5 wide lens. How will this adapt to the super 35mm sensor if i decide to get an b4 to EF adapter? I'm not too knowledgeable about that specific lens. In general the adapter requires the 2x extender on the lens to be engaged, enlarging the image circle at the rear element so that it will cover the S35 sensor. Does that lens have a built in 2x?